Alienation of affection and criminal conversation laws are alive and well in North Carolina. The heart balm torts provide a remedy for a marriage that is destroyed by cheating. The law allows the cuckolded spouse to sue the third party paramour for money damages based on the allegations of emotional harm to the marital relationship caused by an affair. The law requires that the couple was married and not separated at the time that the affair occurred and that the affair ended the marriage. These lawsuits are filed by the innocent spouse not only against the offending paramour but can in theory, also be filed against someone, such as an in-law or a near relative, who has caused the marriage to end. (3) the defendant’s malicious conduct has caused or has contributed to the loss of affection. North Carolina “alienation of affection” and “criminal conversation” laws provide a three-year statute of limitations which allows the innocent spouse to file the alienation lawsuit within 3 years of finding out about the affair. (a.) In 2010, a jury in Guilford County ordered a female paramour to pay $9,000,000 in damages to the innocent spouse. (b.) In 2010, a Pitt County Superior Court Judge who presided over alienation of affection trial without a jury awarded $5,900,000 “bench verdict” to the innocent spouse. (c.) In 2011, the Wake County Superior Court Judge ordered a “bench verdict” of $30,000,000 in favor of the innocent wife. If you’re planning on filing a lawsuit against someone for alienation of affection and/or criminal conversation, you need to consider the cost and the possibility of winning a large verdict. 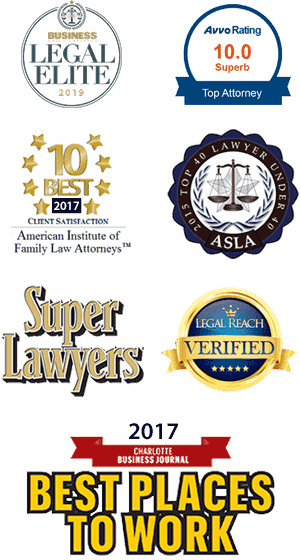 It’s worthy to note, however, that while these cases can end in large verdicts, they can make it difficult for you to peacefully proceed with your divorce case. They are also expensive cases to take to court. You should expect to pay a lawyer a minimum of $25,000 to prosecute or defend an alienation case. These cases also require expert witnesses to testify to damages. Finally, even if you win a large award you may not be able to enforce it if the defendant doesn’t have significant assets or a very high salary. (a) No act of the defendant shall give rise to a cause of action for alienation of affection or criminal conversation that occurs after the plaintiff and the plaintiff’s spouse physically separate with the intent of either the plaintiff or plaintiff’s spouse to make the physical separation remain permanent.